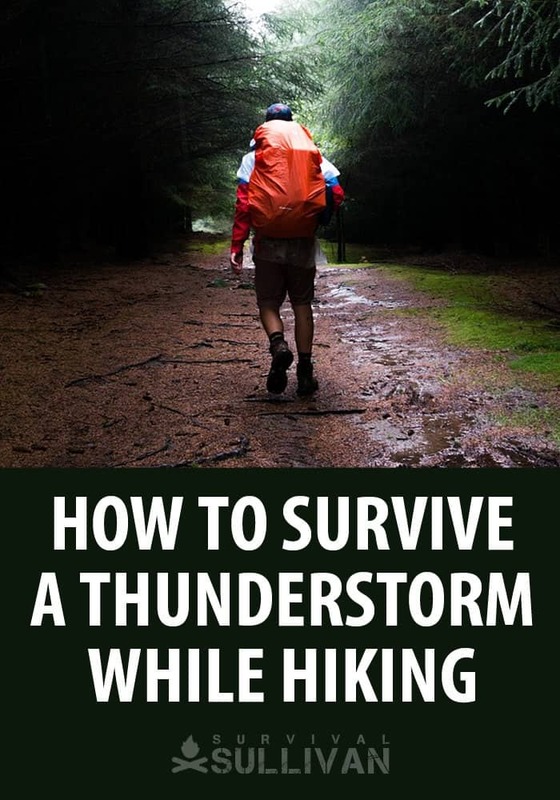 If you spend much time outdoors hiking and camping, it is inevitable that you will become trapped in a thunderstorm regardless of how well you keep track of the weather. Being outdoors during a storm can be dangerous, and there are certain things you need to do to stay safe. 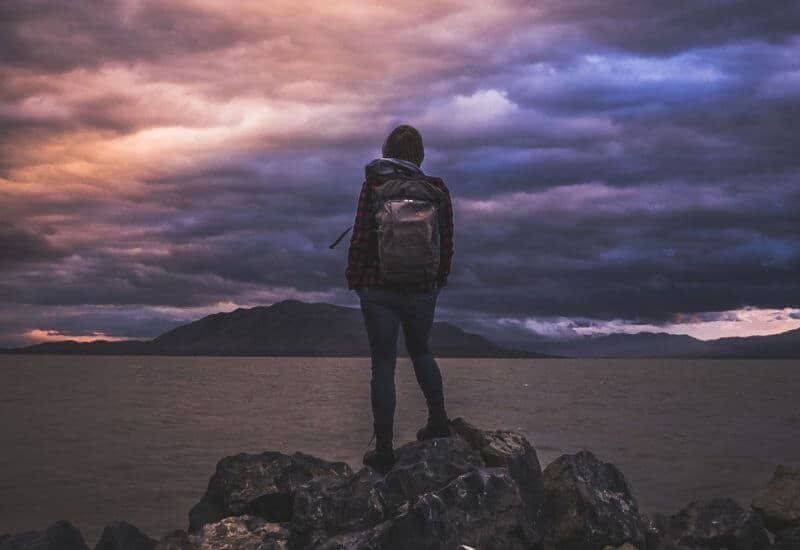 In this article, we will look at how to survive a storm while hiking. We will also discuss several myths about what to do in a thunderstorm if you in the backcountry. Storms come in all shapes and sizes, from a small thundershower to powerful severe supercell. You also have winter storms, but that will be a separate article. One important thing to remember is that every storm, no matter how small and mundane, has the ability to cause injury or death. For this reason, all storms must be treated with care. Thunderstorms are one of the most common weather events on the planet. Ranging from mild to severe and deadly, storms can be a serious threat and require monitoring to determine their potential impact. The National Weather Service has a division called the Storm Prediction Center (SPC), which is based in Norman, Oklahoma. The SPC monitors all storms and systems that are or will be impacting the entire US and its territories. The SPC issues thunderstorm and tornado watches and warnings to affected parts of the nation. They also issue several other weather statements that we will discuss in other sections. These warnings, along with information from the NWS Weather Prediction Center, means that we have information about the strength and path of thunderstorms at all times. This information is distributed through the NOAA weather radio broadcasts. The most common watch or warning that is issued is for a severe thunderstorm. 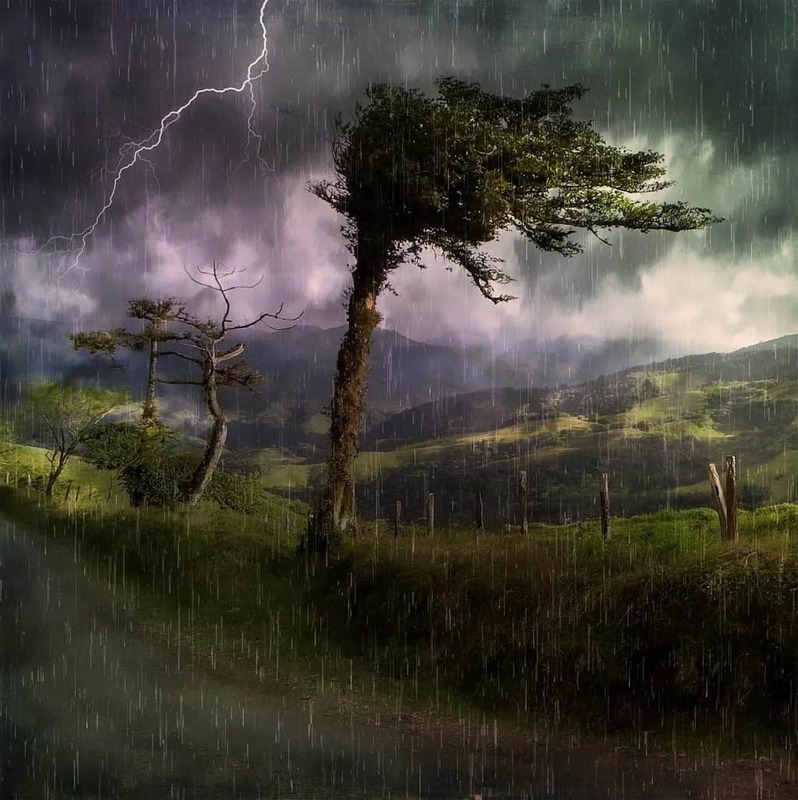 NWS defines a storm as severe when it contains one or more of the following: hail one inch or greater, winds gusting more than 50 knots (57.5 mph), or a tornado. A severe thunderstorm watch means that conditions are favorable for severe thunderstorms in the watch area. A severe thunderstorm warning means that severe weather has been reported by spotters or indicated by radar. Warnings mean there is a serious threat to life and property to those in the path of the storm. A warning can cover parts of counties or several counties in the path of danger. When a severe storm watch is issued it means that conditions are favorable for severe weather. At this point, you would want to consider leaving the area or assessing available shelters and options for taking cover if needed. When are severe storm warning is issued, remember that it means severe weather has been confirmed by either spotters or radar. Everyone should move to shelter if available or move to a safe area. A tornado is a rotating column of air that is one of the most violent forces of nature. Tornadoes occur during severe thunderstorms and can pack winds from 65 to 200+ mph, and can cause massive damage along their paths. They can be very large, some being up to a mile wide, or small with some being only 50 yards wide. The size, however, doesn’t determine how powerful a tornado is, as you can have large weak tornados or small but very powerful ones. Tornadoes are rated using a scale known as the Enhanced Fujita Scale. This scale is an improved version of the former Fujita Scale, which was developed in 1971 by T. Theodore Fujita of the University of Chicago. In 2007 the NWS switched to the new Enhanced Fujita Scale. The enhanced scale was developed to allow for more consistent assessment of damage and to allow for better data collection. The primary threat during a tornado is wind. The fierce winds can destroy up to large, well-built structures depending on the strength of the tornado. The secondary threat is from debris. The powerful winds hurl any object it can pick up, which at times can be as large as a car. These debris items become missiles that can do as much damage as the wind itself. Tree limbs, dead trees, rocks, and many other items can be picked up and thrown with great force. Learn more about prepping for tornadoes here. Depending on where you are in the world, you may be able to see or hear thunderstorms from far off. So how do you know the storm is close enough for you to be in danger? It’s not an exact science, but there are a few ways to help you determine the danger zone. How far lightning can extend outward from a storm can vary depending on the storms strength and atmospheric conditions. However, the agreed number is approximately 10 miles. There are some constants that we can tap into to help us gauge how far off a storm is, the speed of sound (767.269 mph) and the fact that thunder is caused by a lightning strike. Since the sound of thunder is traveling at 767 mph it means the sound will travel 1 mile every 5 seconds. If you count the number of seconds between a bolt of lightning and the thunder, then divide that number by 5, you will have an approximate range of how far the storm is from your location in miles. If it’s less than 10, head for cover. One of the most essential elements in surviving a storm while outdoors is preparation. While some items such as ponchos and rain gear are nice to have, others like a NOAA weather radio can make all the difference in the world. The biggest preparation you can make is to research the weather for the area you plan to be in. Also, research the location itself, and take note of clearings, depressions, and other prominent features. A NOAA (National Oceanic and Atmospheric Administration) weather radio allows you to tune into local weather broadcast from almost any location on earth. Not only will it provide basic weather information, but also an extended forecast and any weather alert information such as severe thunderstorm warnings and tornado warnings. When you are looking for a weather radio, you want to make sure it has a backup power supply like a hand crank, so that you will always have access. There are several popular versions of durable radios that feature solar panels, hand cranks, built in flashlights, the ability to charge phones and other useful features. One of the most popular of these radios is the Voyager by Kaito. This radio offers many features to help keep you safe, connected and informed during weather emergencies. It also uses the alert feature of the NOAA broadcasts, which means you can set the radio to monitor a specific broadcast frequency and it will alarm if an advisory is issued for your area. If despite your best efforts you are caught out in a thunderstorm there are some things you can do to help keep you safe. The best possible solution is to get to some kind of shelter. If a building is nearby that would be the number one choice. Even if you had to hike through some weather, if you can make it before the worst parts of the storm, it may be worth the effort. This is of course highly dependent on the location of the shelter from where you are, physical stamina, hiking speed, as well as the storm’s strength and characteristics. The second best option would be a car. The same circumstances apply for a car, but often times a car may be the only possible shelter anywhere near. Any car, truck. SUV, RV, or any other vehicle with a hard top would provide safe shelter. A convertible or a soft top jeep is not adequate shelter. A tent will not provide adequate shelter due to several factors. First, when you are inside the tent you are blind to other hazards such as falling limbs, debris, or flash floods. Second, a tent provides no protection from lightning or falling trees/limbs. If you are inside a tent when a storm hits move outside and try to get to an area that will provide shelter. Lightning is attracted to the tallest objects in an area. You want to stay away from tall trees and other tall features, but also want to make sure you are no the tallest object either. If you are in a heavily forested area and can not find or are not near any open areas, you need to try and find a group of smaller trees. While this should be reserved as a last-ditch effort, the taller trees around the smaller group will hopefully attract any lightning strikes before it makes it to you or your shelter trees. If you have no shelter, you will want to find a ravine or depression, that will allow you to get below the surrounding area. This increases your safety from lightning, but also provides a windbreak. If you should become aware of flash flooding, move to higher ground if heavy rainfall moves into the area. Statistically flash flooding is more of an immediate danger than lightning. You will want to avoid being in water during a storm. We obviously know that it would be a bad time to take a swim, but even standing in ankle deep water in a ditch or creek would be a bad idea. When lightning strikes the ground it is conducted along the surface or near the surface. Since water is a great conductor of electricity, if you were standing in water when lightning strikes nearby it could transfer to you through the water. If you are forced to take shelter in the open, you will want to spread your group out instead of huddling together. This lowers your chance of getting struck by lightning. Also in the event, someone does get struck by lightning, the others will hopefully be spared and can provide assistance. You want to make yourself as low as possible, but you do not want to lie down. The more of your body that is in contact with the ground, the greater the possibility of electricity from a lightning strike being transferred to you. Also, the rubber on your shoes will act as an insulator and reduce this possibility further. If you are caught outside during a tornado, you have very few options. It would be a very rare chance however that you would take a direct hit from a tornado, and they are relatively small. The best thing you can do is to try and find some sort of depression and lie flat face down and use your hands to protect the back of your head. If you have a pack keep it on as it will protect your back and add some weight to you. Avoid any stands of trees if possible, as trees will often splinter and becomes very dangerous projectiles. It can be hard to see tornadoes coming, especially if it is dark. When out in a storm, listen to your NOAA weather radio while taking shelter. If you hear a tornado warning given for your area it is time to move. If you do not have a NOAA radio with you, listen to the roar of the storm. You will be able to hear a significant difference in sound if a tornado is approaching that most people describe as a freight train like sound. If you hear this coming through the storm, it’s time to move. There are many myths out there about how to stay safe during inclement weather, and many will put you in more danger rather than help keep you safe. Here are some of the more popular ones that I hear when doing training for the Scouts each year. Large trees have a greater possibility of being hit by lightning, which would then transfer down the tree. Secondly, the possibility of larger limbs falling out of the tree during wind increases with the age of the tree. Do not use large trees as shelter during a storm. Caves can be very dangerous shelters during a storm for several reasons. First, rock conducts electricity. If lightning strikes near the opening of the cave, the resulting electricity will conduct through all of the nearby rock on its way into the ground, which could potentially transfer to you. Second, Many caves flood during or after rains. If you are deep enough inside the cave to be safe from lightning and wind, you are at risk of being caught by flood waters that can come from either direction. While an underpass would provide shelter from rain, wind and debris are another story. During a tornado, the underpass can actually act as a funnel, increasing wind speed as they pass underneath. We already discussed the danger of being in water during a storm, and the danger of lying down and increasing your contact with the ground. This is just a bad idea in general. While you can understand where this thought process comes from, it is not a safe option. Lightning is still present during most tornadoes, so being strapped to a lightning rod would be a bad idea to begin with. Most trees faced with a direct strike will fail, so the tree you are strapped to and the surrounding trees would just turn into projectiles to hurt you. Lastly, you want to be as flat to the earth as possible. Every inch of elevation from the ground increases your chance of being injured by debris. If a person is struck by lightning the electricity will move through their body and into the ground also instantly. While they may still be hot to the touch immediately following a strike, it generally not hot enough to cause injuries to responders. The actual electricity will be gone from their body before the flash is over. There is no danger in touching a person who has just been struck by lightning. Born and raised in Kentucky, Steve grew up deep in the mountains on a family farm. After college, Steve spent over 15 years working in public service and has experience in Fire, EMS, and Law Enforcement. He has also worked with training and deploying search & rescue and service dogs for utilization in a variety of services. Steve is also a Scout Leader with the Boy Scouts of America, and works to teach preparedness to the next generation. Steve has worked with and taught firearms and self-defense in multiple venues, from tactical applications to long range shooting, and also has extensive training in first aid and wilderness first aid. 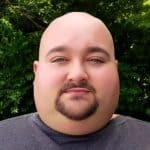 An active prepper, Steve has devoted hundreds of hours to mastering and teaching skills and techniques for use in survival, homesteading, and general preparedness.